At Farm Friends Day Nursery, we provide care for children ranging in age from tiny babies to four-year old pre-schoolers. It is important that each age group benefits from the appropriate attention, stimulation and encouragement to socialise and develop. Therefore, we established five distinct groups to help children make the journey from when they join us as babies to when they leave us to start school. Designed to meet the needs of the tiniest members of the Farm Friends family, this room has two low level-windows and a separate, cosy sleep room. We value the importance of a child’s home routine and encourage parents to forge strong links with us. The closer we work with each other, the better. Farm Friends write a diary for each individual child, so you can see the daily information we record on nappy changing, feeds and activities. 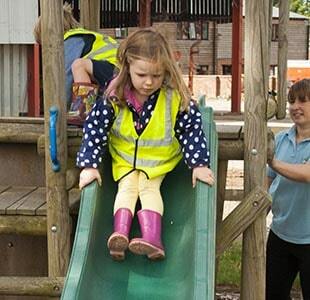 We strive to ensure that every child spends some time outside every day – this may involve a walk around the grounds or time spent playing in the adjacent gardens. 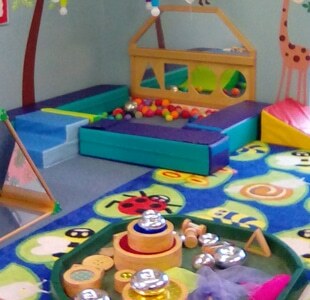 Our Charlie Chicks room has access to its own play area and sensory room. 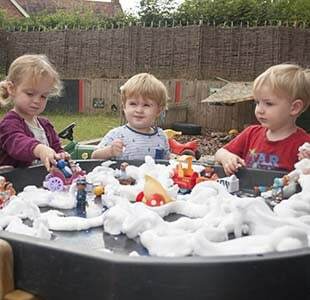 Children take part in a huge range of fun activities, which include painting, messy play, sensory treasure baskets, sand and water play, story sacks, singing and outdoor play. There is a a separate sleep room for routine naps. By the time children reach Daffy Ducks, their daily routine becomes slightly more structured. The emphasis does remain on play of course and the children are allowed to make choices about the activities they wish to be involved in. This room benefits from its own outdoor play area. Free-flow play between the indoor and outdoor environments is encouraged. 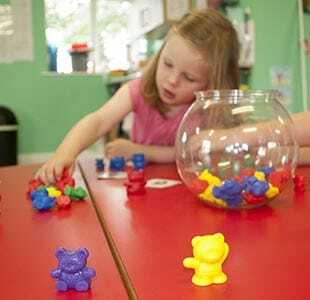 Children move to Percy Pigs after their third birthday, by which stage they are in need of more structured learning and wider experiences. 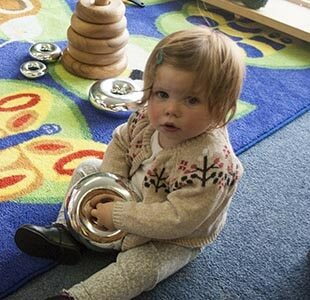 The Farm Friends team plans activities around the Early Years Foundation Stage, striking a balance between the demands of structured learning activities and a relaxed approach where fun remains the priority.